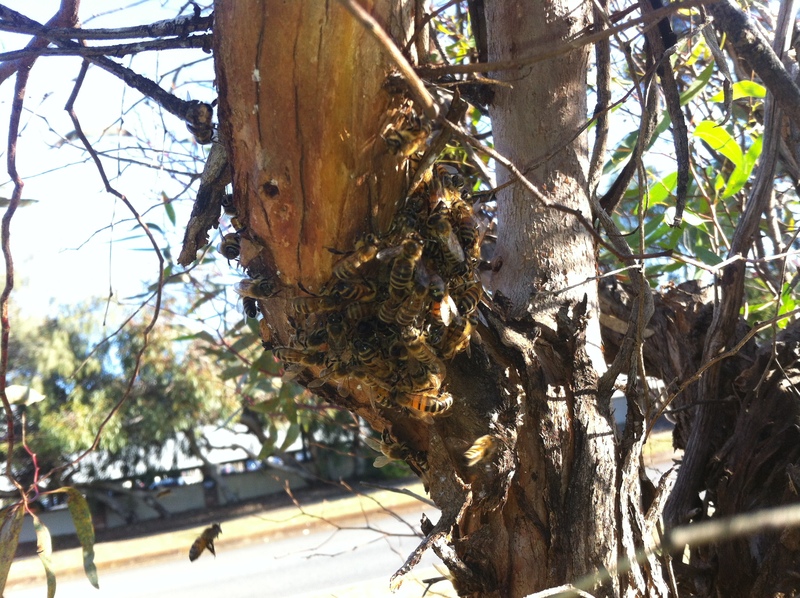 Winter in Australia For Bees. Australia is so big that parts of Australia are still warm in a southern winter. However, as most honeybee keepers are based around the southern coastline, this part of the world can experience a chilly and rainy season. Most bees ( as with all insects) enter a period in winter when the life force is lower and colder temperatures govern their lives in addition to the consequent scarcity of food. Bees, if they’ve built a hive over a Spring and a Summer ( and perhaps over many years)then their food stores should be good enough to see them over the colder winter months. There is some flowering of plants even over winter, especially around the city areas and this can be enough to keep weaker hives alive. In times of food scarcity though, beekeepers may find it necessary to feed their bees with a sugar syrup. Rainfall is something that falls mainly in winter in the southern areas of Australia and is imperative in creating the flowers that bees will utilise in the warmer months. Consequently, beekeepers hope for a good rainy season hoping that it bodes well for a good flowering season in bushland, forest areas and the metropolitan areas. This is a hive box receiving a new swarm last Spring. The start of a new Spring and bees are coming out in the warmer weather. 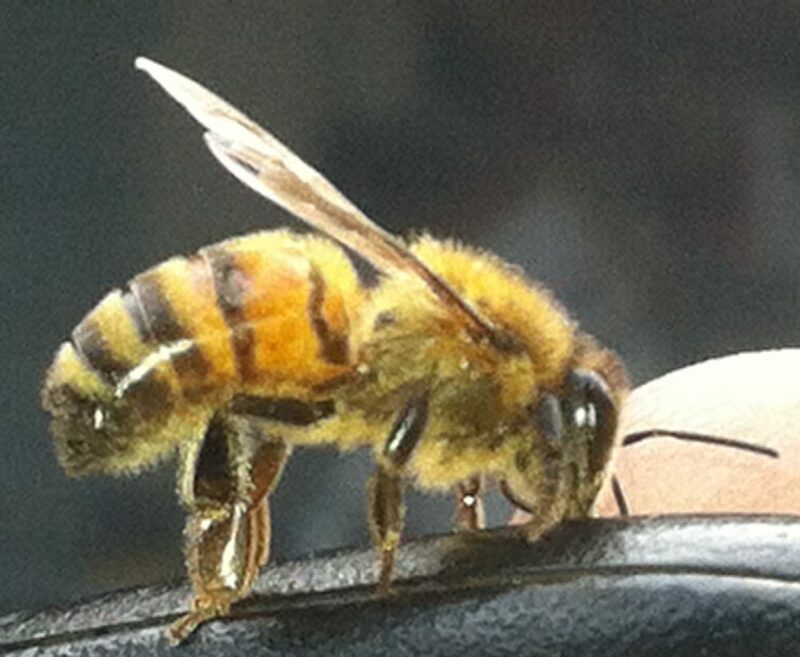 Some hives are already on the way to making new queens and preparing to swarm. Rainfall this Perth winter has been good so we expect there to be substantial flora and abundant blossoming all over the entire state. This picture shows a perfect habitat for a new swarm in a new box surrounded by beautiful bush flowers. This photo shows a few returning scout bees looking for the queen bee and fellow worker bees following the bee swarm removal. 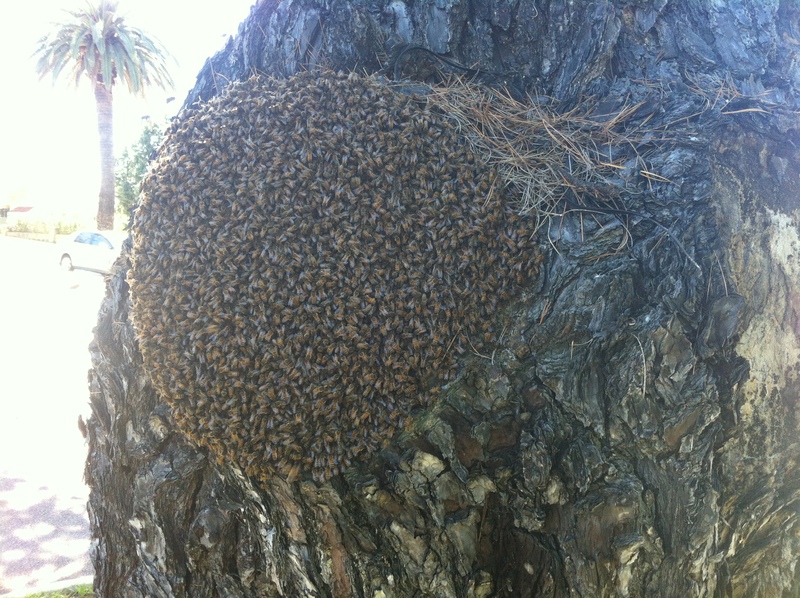 Bees can end up in all kinds of places during Spring. 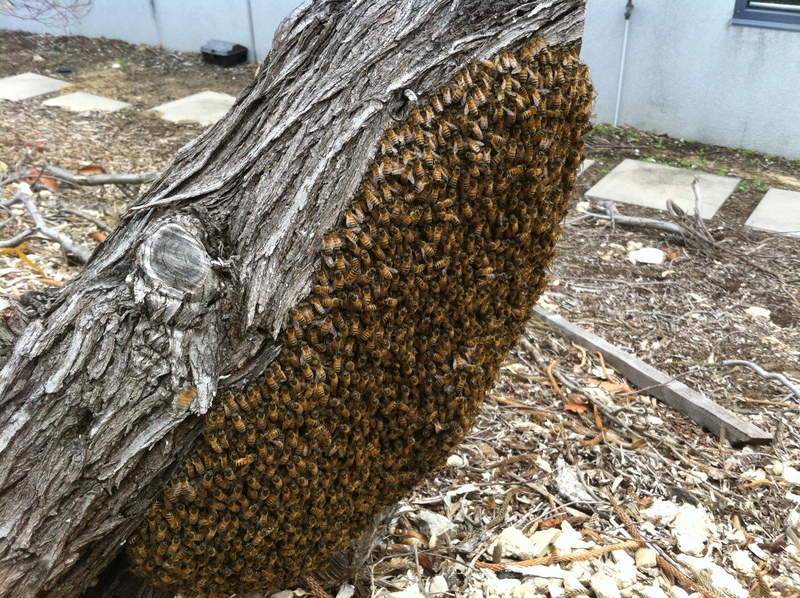 These bees were rescued before they entered the tree trunk and given to a beekeeper.